An unexpected focal point, an inspiring space, a cozy nook…Make a big impact in a small space like a foyer, hallway or powder room. Create a story in a surprising spot. Hyunmee Lee’s Tomorrow Blue gives this reading nook a relaxing, zen-like feel. 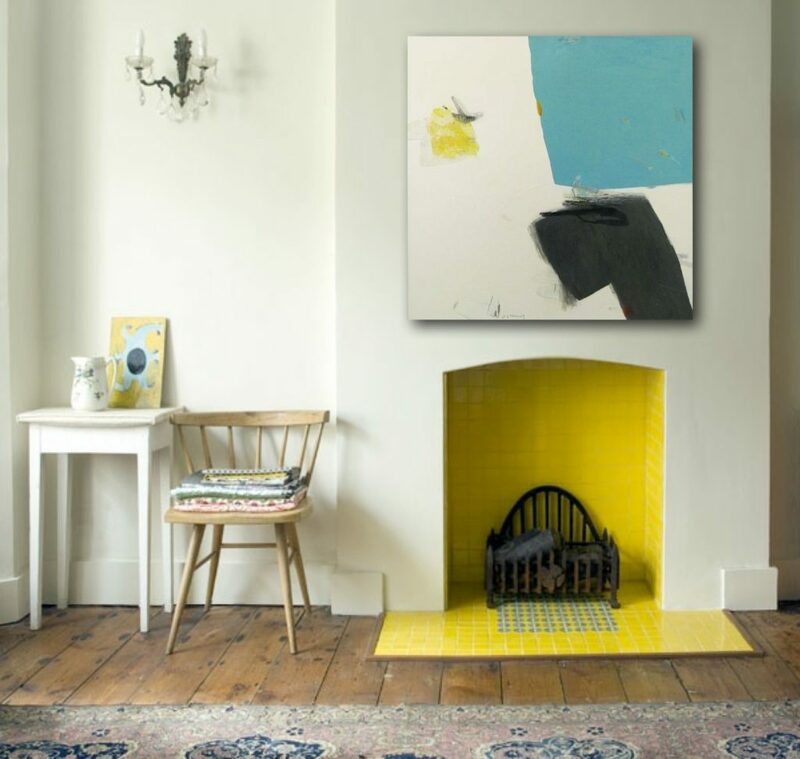 The piece plays off the bright yellow fireplace and blue accents to give the space a harmonious blend of colors.